Trees are magnificent; they can grow to be hundreds of years old; weather the worst of storms and still help to improve the environment. Alongside this they are incredibly useful for burning, creating shelters and even building furniture. Providing their felling is part of a replanting program they will also last forever! There are two different types of tree firms. The first is the classic tree surgeon. This is a specific tree service which involves trimming trees and cutting down the trees if necessary. Their services are generated limited to these functions. 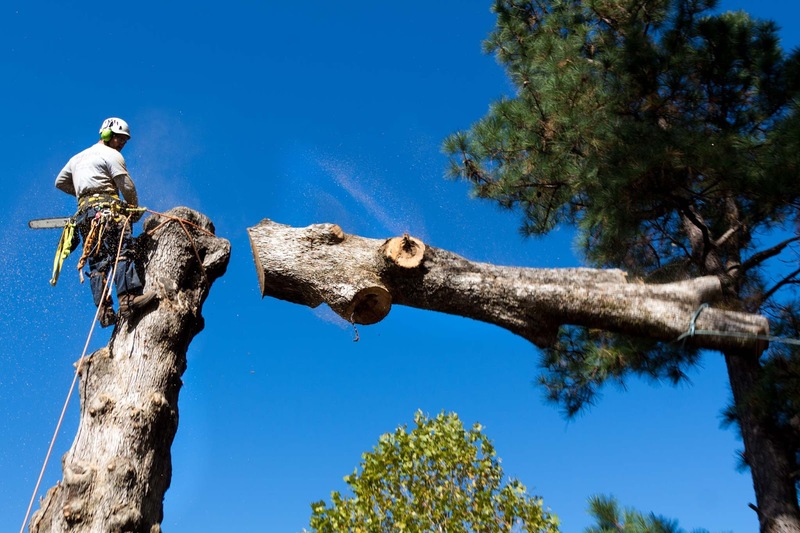 An all purpose tree service firm will still deal with tree felling. Any tree which is diseased, dangerous or has already fallen can be cut into sections and removed. The wood can be left for your use or taken away to be used elsewhere. There is usually no difference to the charge if you choose to keep the wood as the firm will cut the tree up for you. Some tree are simply growing in the wrong direction and interfering with houses, power lines or even the neighbor’s fence. The tree service firm will remove the offending limbs and tidy the tree to ensure it can continue to grow without causing any harm to people or objects. As well as for cosmetic reasons, a tree can also be trimmed just because you feel it is necessary. A good tree service firm will also inspect trees for you to decide if they are diseased or not. This will help you to decide what the right course of action is. It is worth noting that many trees which have disease can be saved by removing sections of them. However, others need to be removed quickly before the disease spreads. This is why it is important to obtain specialist advice regarding any suspect tree. If a tree is diseased but can be treated then the tree service firm will be able to provide the treatment and monitor the tree to ensure it recovers. They will look after it in the same way a doctor looks after a patient! Most tree service companies will offer tree planting services. This is partly because they already have the necessary equipment to make this an easy job and partly because they will have a love of trees and be eager to see more growing. Finally, a good tree service firm will assist with landscaping your garden, they can help with the design and the implementation of this design; ensuring your garden looks just the way you imagine it! A good tree service firm offers a wide range of services which can be extremely beneficial to any gardener; whether you are keen to do most of the work yourself or not! To make the most of the space you have it is best to contact the tree service firm today!